BELFAST, Northern Ireland — A homosexual rights activist states that he has changed his mind and now supports the rights of a Christian bakery that was fined last year for declining to print the phrase “support gay marriage” on a cake. He says that while discrimination against people is wrong, rejecting ideas is indeed lawful. Last November, the Commission ordered the bakery to pay compensation or face legal action. As the McArthur’s refused, the case moved forward in court. Judge Isobel Brownlie then ruled against the McArthurs, declaring them “guilty of unlawful discrimination on the grounds of sexual orientation,” and ordered the bakers to pay a fine equating to nearly $800 U.S. dollars. Now, two days before the case is to be considered in an appeals court, a prominent homosexual activist who previously condemned Ashers is defending the business. He said that he views the case differently because of the wording that was requested on the cake, and said that businesses shouldn’t have to print messages that violate their conscience. 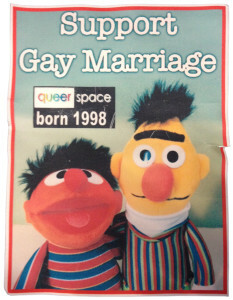 “[Lee’s] cake request was refused not because he was gay, but because of the message he asked for. There is no evidence that his sexuality was the reason Ashers declined his order,” Tatchell wrote. Tatchell said that he disagrees with Brownlie’s ruling, as he believes that it reads more into the law than was intended. “There was never an intention that this law should compel people to promote political ideas with which they disagreed,” he contended. He separated discrimination against people from the rejection of objectionable ideas.